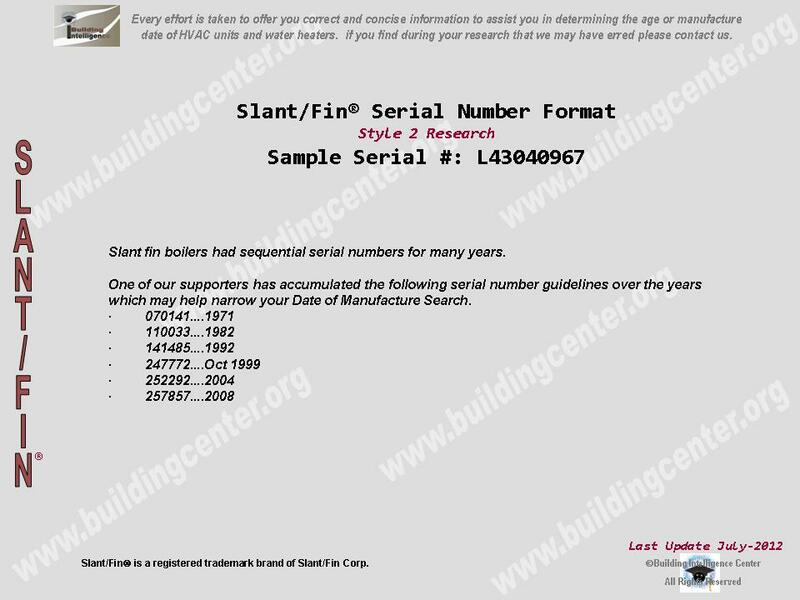 How to determine the date of production/manufacture or age of Slant/Fin® HVAC Systems. 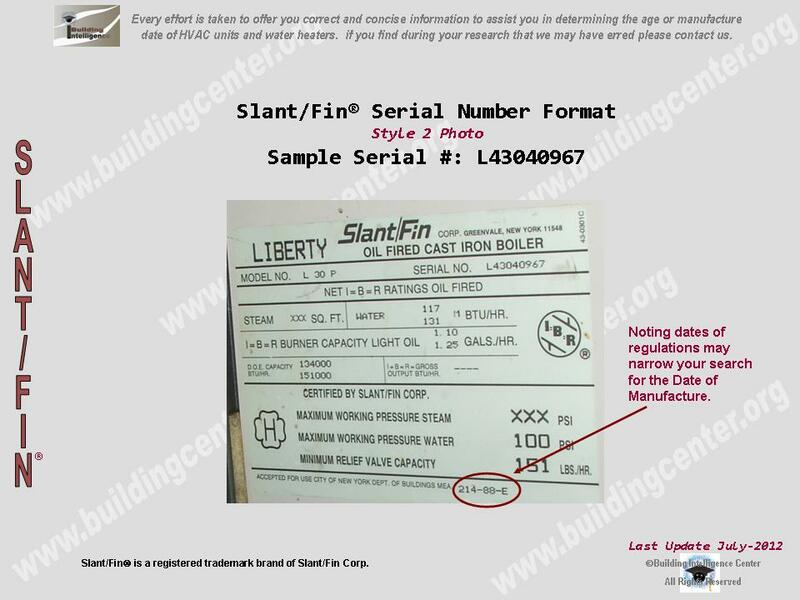 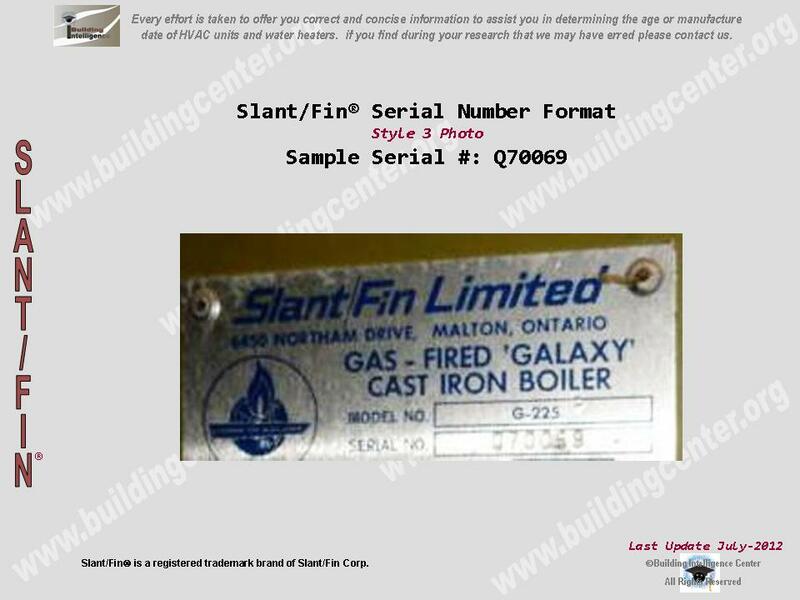 The date of production/manufacture or age of Slant/Fin® HVAC equipment can be determined from the serial number located on the data plate. 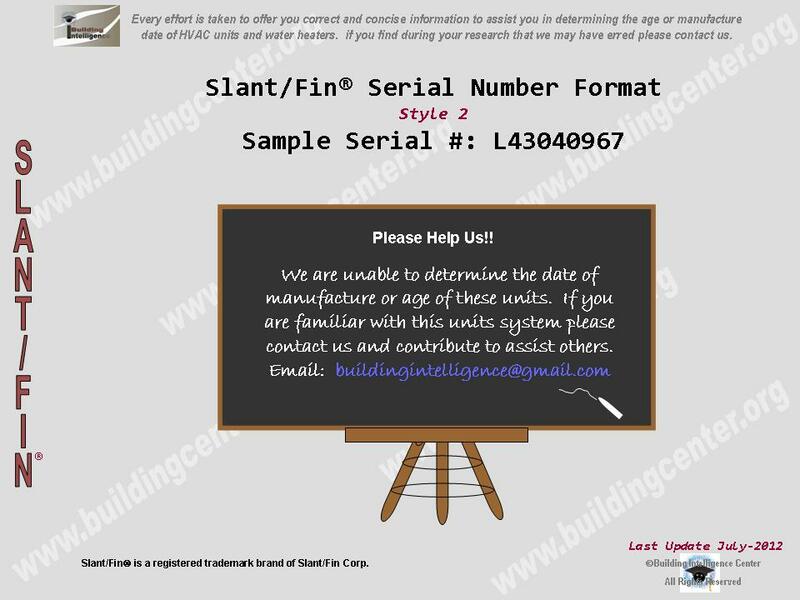 Year of manufacture is 2nd & 3rd numerical digits combined. 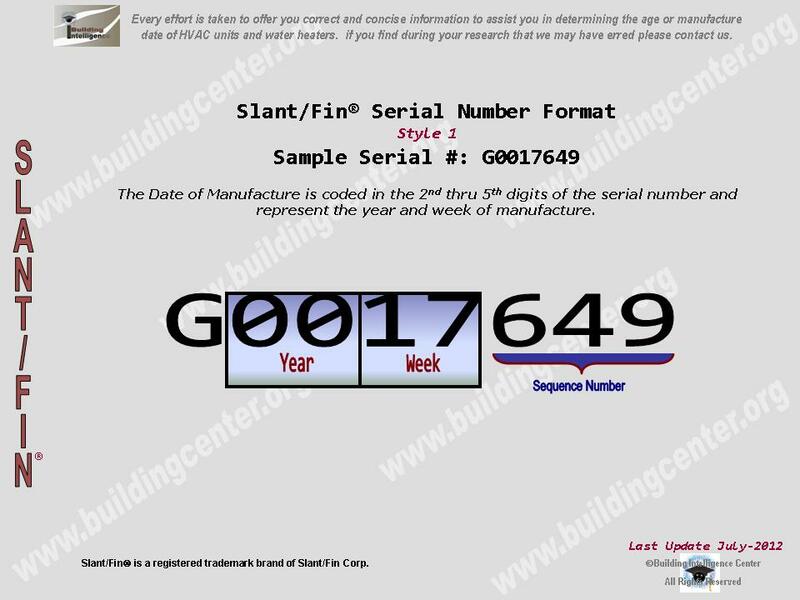 Week of manufacture is 4th & 5th numerical digits combined.